Costa Rica’s summer season is beginning, just in time to beat the winter blues with affordable winter vacation destinations. Find your winter sun in Costa Rica, an easy and fun tropical getaway. Miles of beaches on both the Pacific and Caribbean coasts make for great beach vacations. 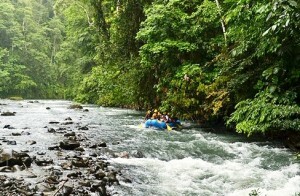 Rainforests, cloud forests and active volcanoes provide exciting jungle adventures. Two international airports allow for numerous d aily flights to Costa Rica. Get your Costa Rica Guide and pack your suitcase. Costa Rica is calling your name. On the southern tip of the Nicoya Peninsula on the Costa Rica Pacific Coast, Montezuma offers pristine, untrammeled beaches, spectacular waterfalls in the rainforest, and wildlife encounters at the Cabo Blanco Nature Reserve, the Curú Wildlife Refuge and nearby Tortuga Island. See where to stay in Montezuma. Get there by either ferry from Puntarenas or by taxi boat out of Herradura Beach by Jacó. 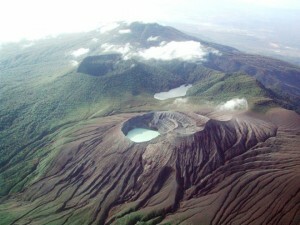 Costa Rica is part of the infamous Pacific Ring of Fire and is blessed with a wealth of volcanoes. The active Rincón de la Vieja Volcano, in the northern Pacific province of Guanacaste, sports bubbling mud pits, volcanic hot springs, rivers and waterfalls. See where to stay at Rincon de la Vieja Volcano. The Liberia International Airport is less than an hour away; or it is a four-hour-plus drive from San Jose. Sarapiqui in the northern Caribbean lowlands of Costa Rica is paradise for adventure travelers, eco-tourists and bird watchers. Exciting day tours include whitewater rafting on the Sarapiqui River, hiking on trails and hanging bridges in the rainforest, and a night walk into the forest to see exotic nocturnal wildlife. See where to stay in Sarapiqui. The area is a short two-hour drive from the capital city of San Jose. Known for its laid-back attitude and Afro-Caribbean lifestyle, Puerto Viejo on the Southern Caribbean Coast is less crowded than the Pacific beaches. Nearby Cahuita National Park and Gandoca-Manzanillo National Wildlife Refuge let you observe the area’s incredible wildlife on land and in the sea. See where to stay in Puerto Viejo. It’s an easy four-hour drive from San Jose to the Caribbean Coast. 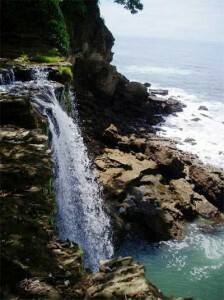 The Osa Peninsula is renowned for its amazing biodiversity. The area on the southern Pacific Coast of Costa Rica stays off the beaten path because it is so remote. 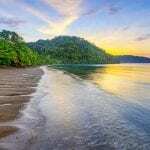 This also means the Osa is one of the most pristine wilderness areas left in Costa Rica – explore marine life in the Golfo Dulce and dense jungle in the wild Corcovado National Park. 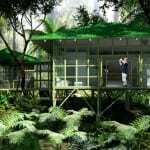 See where to stay on the Osa Peninsula. 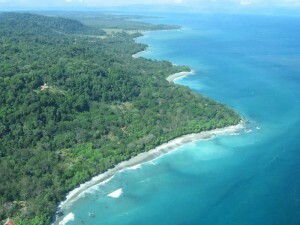 The best way to get to the Osa is by domestic flight from San Jose to Puerto Jimenez. 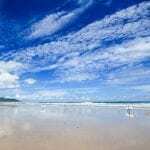 Costa Rica Guides helps you plan your Costa Rica vacation. Operated by Expediciones Tropicales, a Costa Rica travel agency with more than 18 years of experience, Costa Rica Guides assists with hotel reservations, Costa Rica tours, Costa Rica vacation packages, private transportation, rental cars, shuttle services and local flights in Costa Rica.